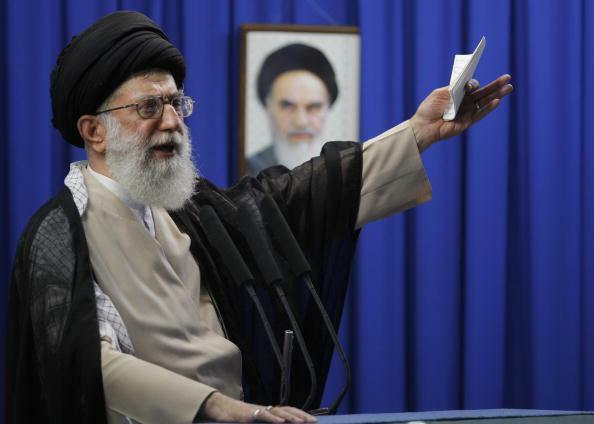 Ayatollah Khamenei prostate surgery: Post-op publicity and Twitter photos. After undergoing prostate surgery in Tehran on Monday, Ayatollah Ali Khamenei has taken to the Internet to publicize his recovery, most recently posting a series of photos from the hospital. The candor of the photos marks an unusual departure from the typical strategy of Khamenei’s media team—the last time they reported on the health of the country’s Supreme Leader was to confirm the success of a gallbladder operation back in 1991. But his condition has been the subject of speculation for years, with rumors of his death circulating in 2007, according to the BBC, and it’s been suggested that the unusually forthright publicity surrounding the surgery is an attempt to forestall rumors of more severe health problems, and, relatedly, the question of who will succeed the 75-year-old Ayatollah. In an interview with Islamic Republic of Iran Broadcasting taken before his surgery, Khamenei reassured viewers that the procedure was routine surgery and that worry was unnecessary. In the days since his surgery, the Ayatollah’s website has been posting a steady stream of photos, updates, and even an interview with Khamenei’s doctor. His Twitter feed has been cataloging his parade of visitors, and today invited followers to answer the question, “What would you say if you visited Ayatollah Khamenei in hospital?” Of course, there’s a certain irony to all of his openess. Because for most Iranians—after 2009’s social media–driven civil unrest—using Twitter and Facebook is forbidden.